This section is for ordering rope cut in lengths or coils. If you require a barrier rope with hooks fitted please go to Order A Rope Barrier. 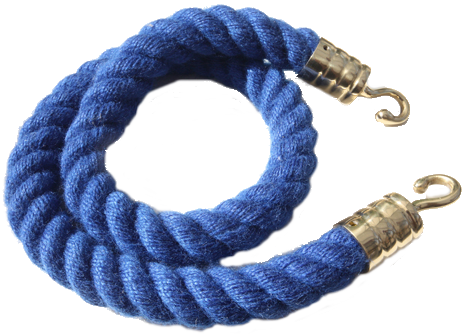 Please note: if you wish to order mulitple lengths of the same rope and colour, order the combined length you need and add a note to your order on checkout telling us what lengths you would like the rope cut to. Please select from our three strand or braided rope. You can purchase a whole coil or specify the length you require in centimetres not metres. The three strand rope comes in a coil length of 25 metres and the braided rope comes in a coil length of 50 metres. This is a 50 metre coil of braided rope. 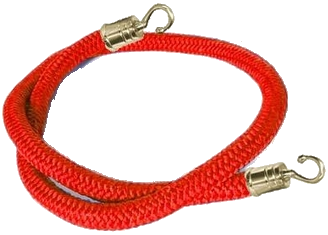 This popular man made rope is available in either 24mm..